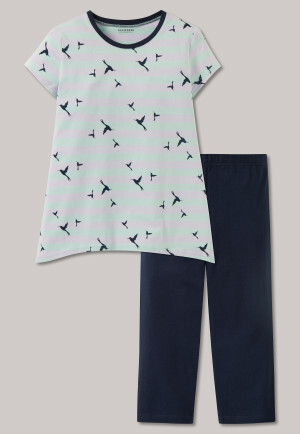 When making pajamas for your girls, SCHIESSER pays attention to appealing designs and high-quality processing of comfortable fabrics. 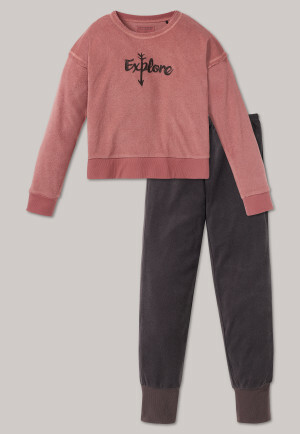 So that nothing stands in the way of cozy, cuddly moments. 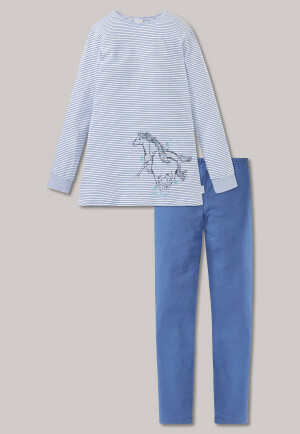 After an exciting day, cuddle up in these girls' comfortably warm pajamas for a bedtime story and dive into dreamland. 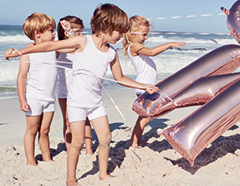 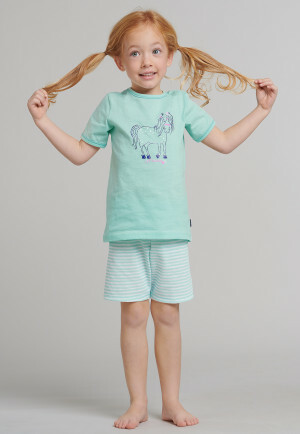 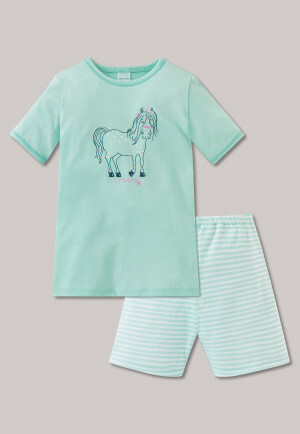 Thanks to sleepwear from SCHIESSER, this will be easy for your little ones. 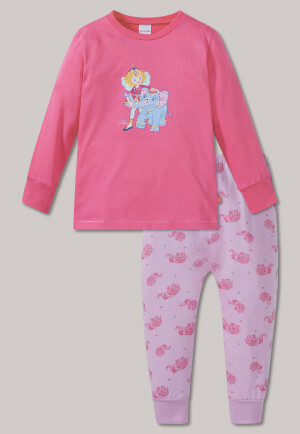 With prints featuring fairies, princesses, or horses, they'll quickly come to rest and relax in the evening. 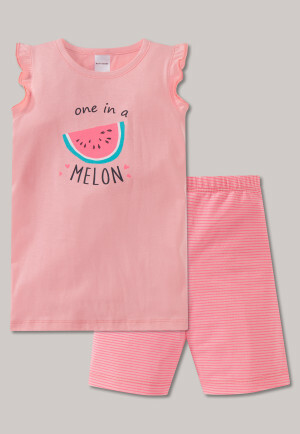 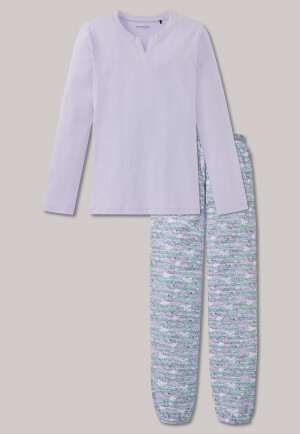 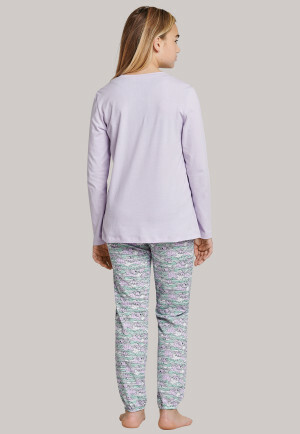 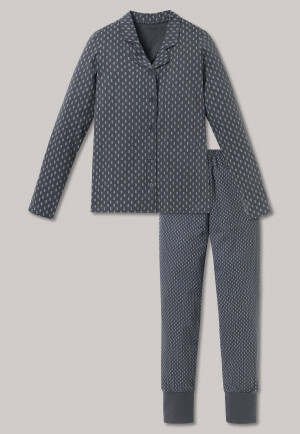 Whether in classic pink, gray, blue, solid-colored, or with cheerful patterns - our pajama assortment is sure to have something for every taste. 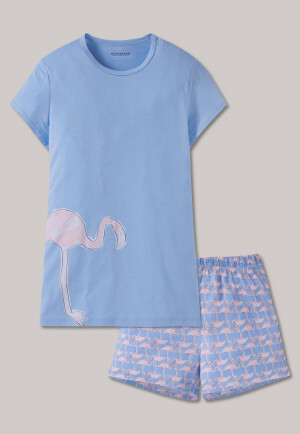 Depending on your child's preferences, you can make them happy with matching pajamas. 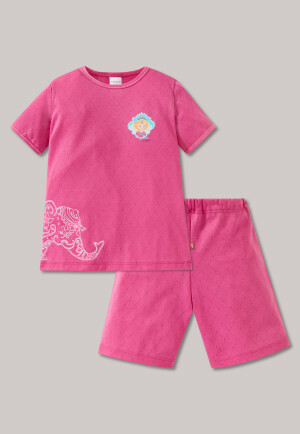 It's important that girls like these pajamas and that they give them a special feeling of warmth and security. 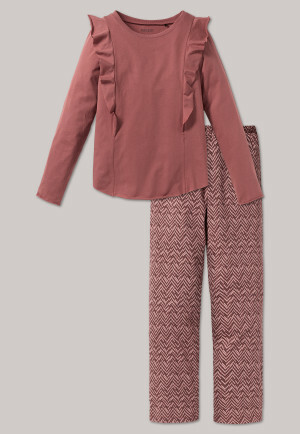 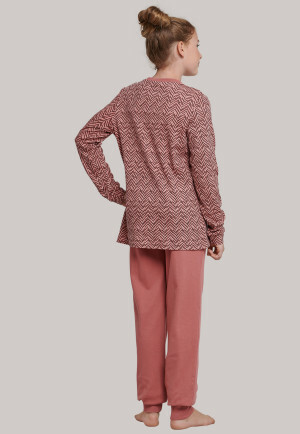 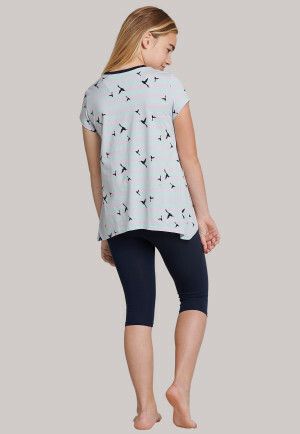 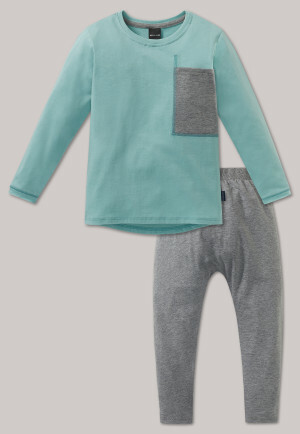 Two-piece set consisting of pants or leggings and top. 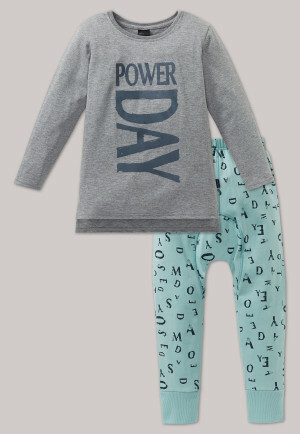 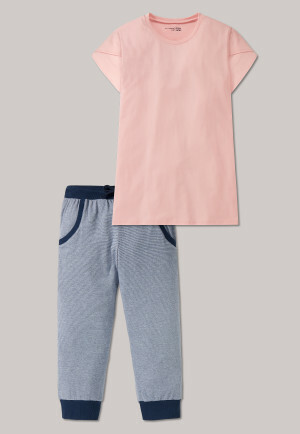 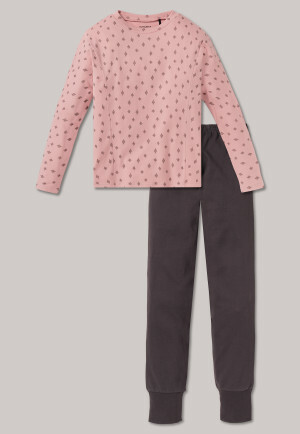 Cuffs on the sleeves and pant legs ensure that nothing slips while you sleep, and that little ones stay warm in their pajamas all night long. 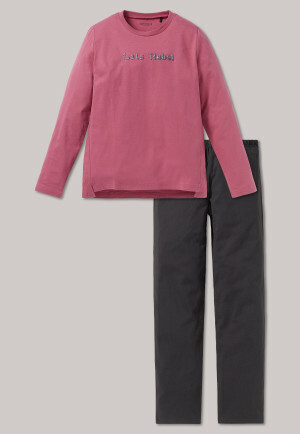 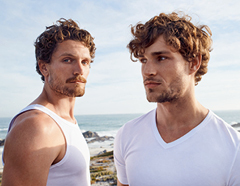 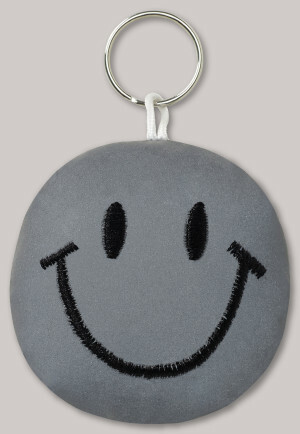 Skin-friendly fabrics such as cotton, terrycloth, or jersey feel pleasantly soft against the skin. 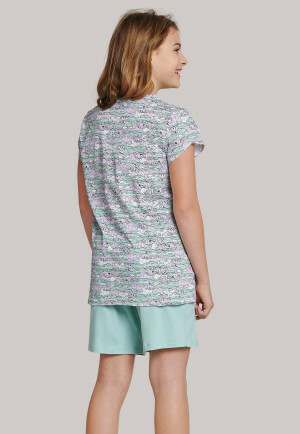 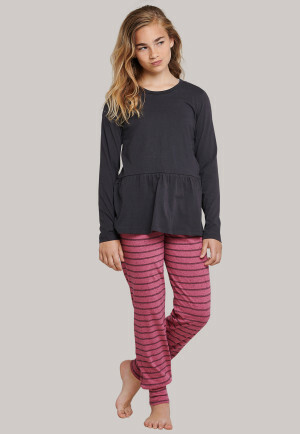 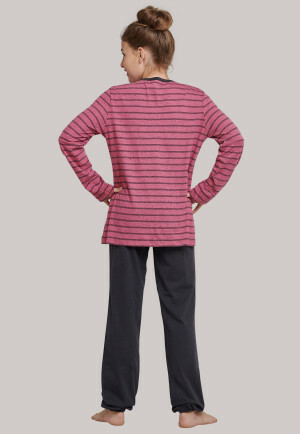 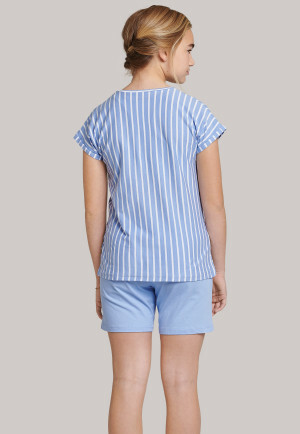 Thanks to their high-quality workmanship, these pajamas provide girls with optimal comfort. 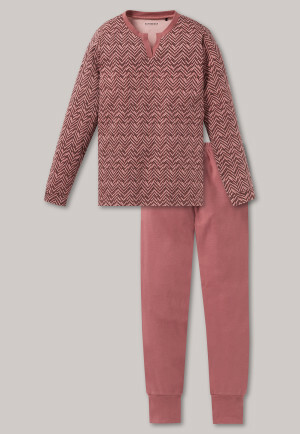 Relaxing is easy in these fashionable jumpsuits. 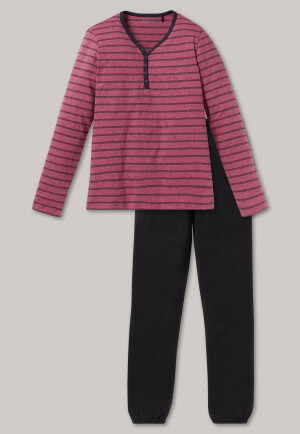 This one-piece with zipper and hood invites small snuggle bunnies to settle in. 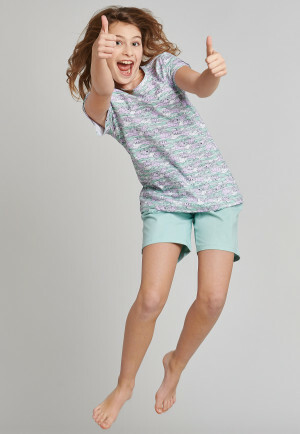 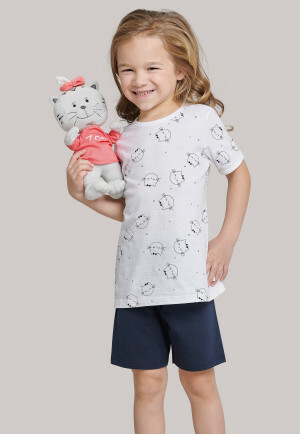 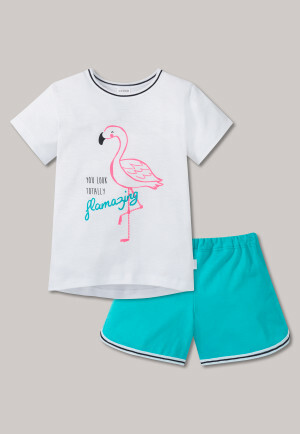 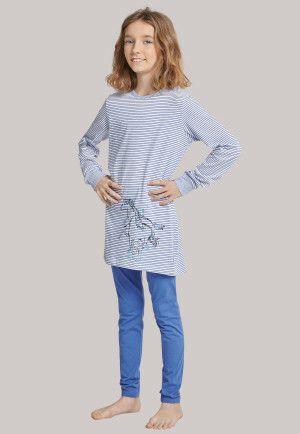 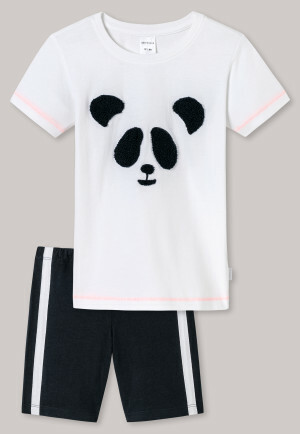 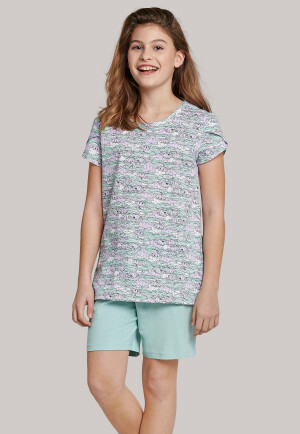 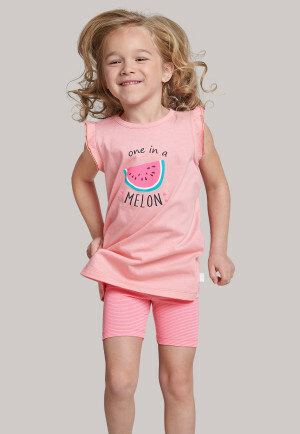 The design of these children's pajamas for girls also score visually: here, they win you over with delicate floral prints or fine drawstrings. 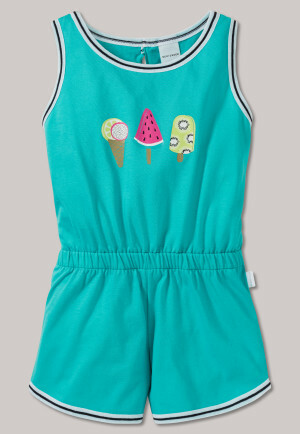 This one-piece also has practical sewn-in side pockets where, for example, you can find room for a bedtime sweet. 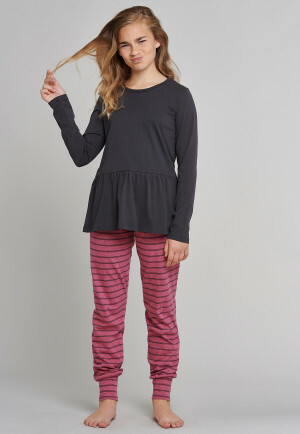 Comfort is not a problem in these uncomplicated overalls with button placket, because they don't have any scratchy size labels along the collar. 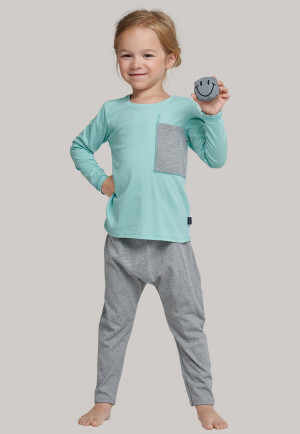 It's simply printed on the inside lining. 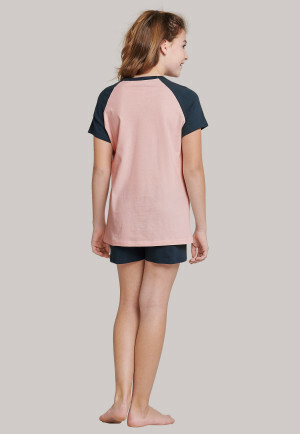 Alternatively, you can also use night shirts for girls as a one-piece. 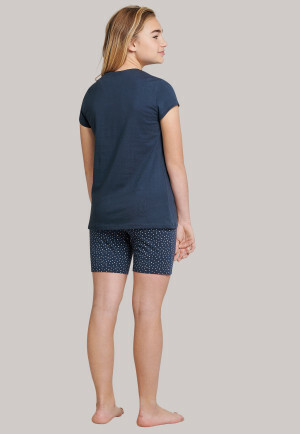 These ensure lots of leg and freedom of movement. 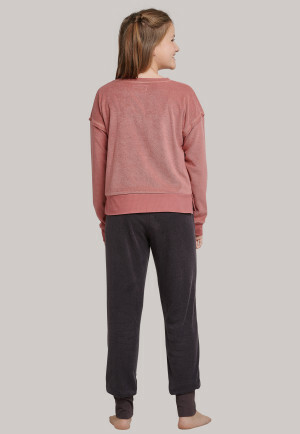 They guarantee just as much warmth and coziness. 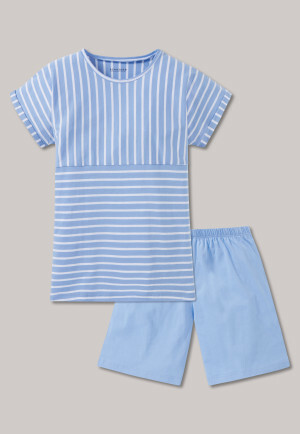 Good to know: Of course, you'll also find the matching pajamas for boys among SCHIESSER's collection.